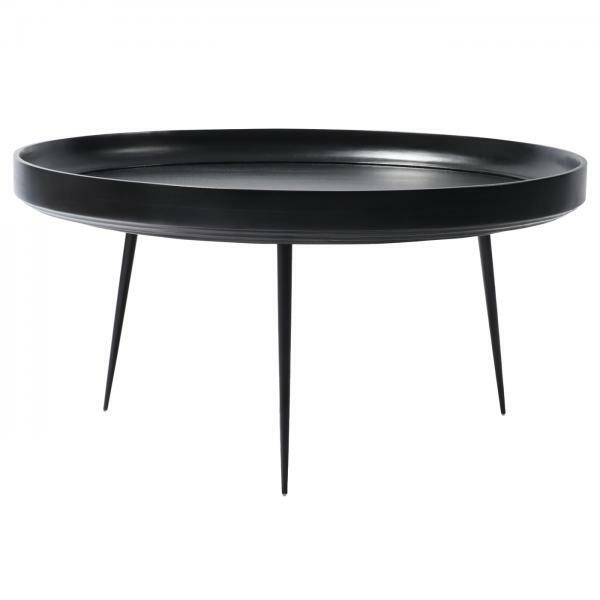 The Mater Bowl Table low coffee table with a Black Stain reconciles old Indian craftsmanship with the simplicity of Scandinavian design. The table top, made of sustainably sourced mango wood is turned on a lathe, showcasing the skill of Kharadi, an Indian wood turning community and supporting their local craftsmanship. 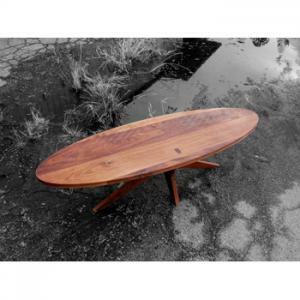 The Bowl Table can stand alone or be paired with the bowl side tables. The finish used on the table top is a lead-free, water-based PU lacquer. The legs are made of milled hollow steel rods and can be detached for ease of labour and transportation. Mater is a Danish design brand with a strong vision to create timeless and beautiful design, based on an ethical business strategy. 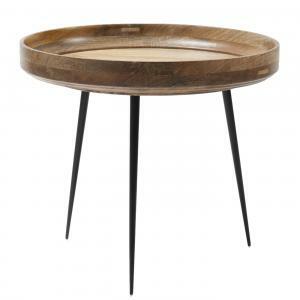 The Bowl Table can stand alone or be paired with a side table vignette.